Looking for a children's dentist in McMinnville? 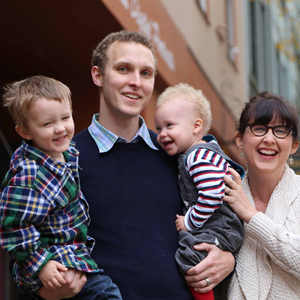 Are you looking for a children's dentist in McMinnville, OR? Come visit us to learn about how Dr. Diesburg and his caring staff of dental professionals are making oral healthcare a family affair. Dr. Diesburg believes starting your children off with great oral healthcare at a young age is the beginning of a lifetime of good habits. Education is an important part of this process, as is developing a great relationship with a family dentist. With this in mind, we're happy to tell you all of the things we are doing to make dentistry a family affair at Dr. Diesburg's practice. 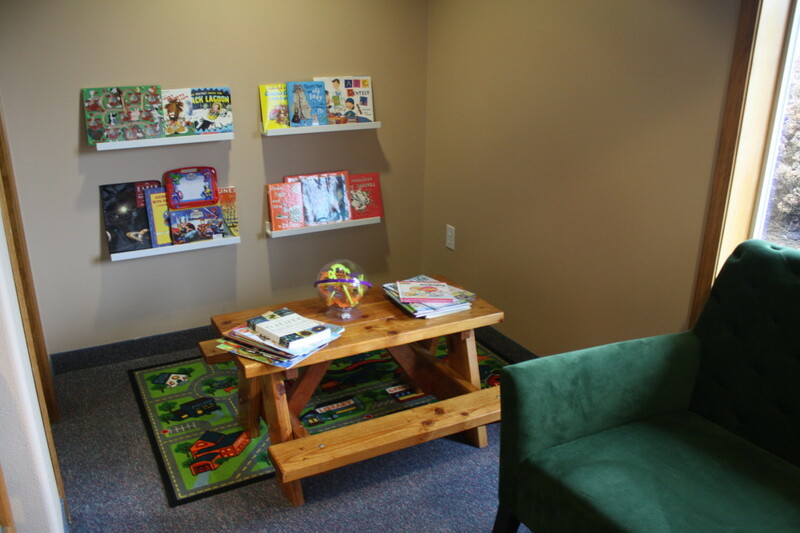 Our new children's area has a variety of games and books to occupy your kids during their short wait at the office. We've been working hard at our practice to ensure that it is a place your children will look forward to visiting. During our recent remodel, we added some new elements specifically designed to make the office fun for kids. We installed four bookshelves and stocked them with a variety of beloved children's books and periodicals (along with one or two dental-themed books! ), as well as a few games. We've added a new Perplexus hand-held maze that adults love, too, and have laid out a fun rug. If the kids need to be close to mom or dad or another caregiver, they can cuddle on our fuzzy new green couch, already a favorite for families. 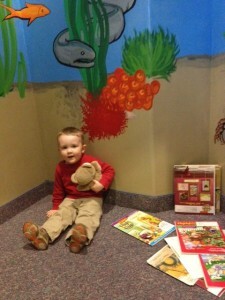 We even have a special Kid's Cave complete with underwater scene by a local artist where your kids can hang out. Dr. Diesburg's son, hanging out in the underwater cave. Back in our treatment rooms, you will meet with skilled professionals who have all been trained to take care of children and their teeth. Dr. Diesburg was a five-year camp counselor at Concordia Language Villages and has amassed considerable experience interacting and building relationships with children of all ages. 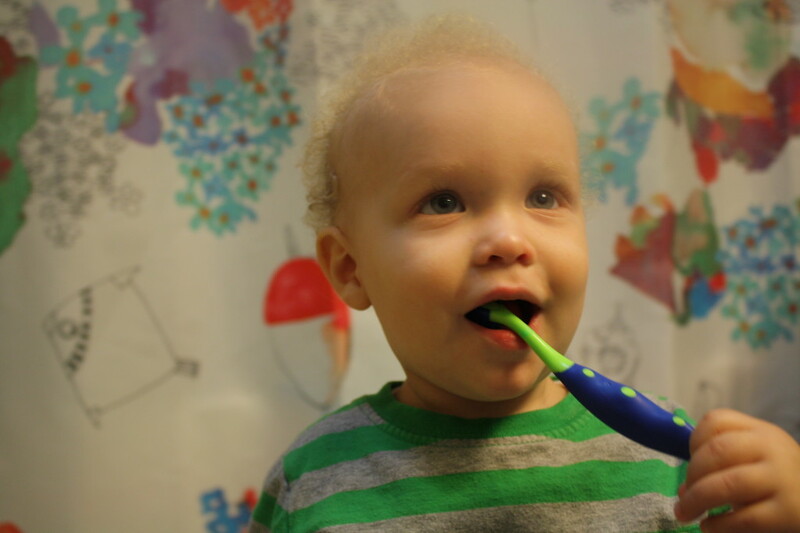 He can help you set the right messages about oral care early on. All of our staff have been trained to teach children and their parents how to best care for their teeth, and they are parents themselves. Every child who visits our office receives a welcome package complete with toothbrush, floss, and fun gifts. If you have a very small child who has never been to the dentist, or children who just need regular check-ups and cleanings, you would do well to meet with a number of general dentists locally before choosing a dentist for your child.